Mr. Graham received an M.A. from Catholic University in 1954, and taught drama for 41 years, serving as Drama Dept. Chair from 1977 to 1993. He founded the Master of Fine Arts acting program in 1970, which he directed until 1993. My Favorite Teacher: Bill Graham from Catholic University's Magazine, Spring 2005 Issue. It’s with sadness that I notify you of the death of a remarkable man; one who was larger than life. William H. Graham Sr., former chair of the Department of Speech and Drama, associate professor of acting, died on Oct. 15, 2013. He is survived by his wife, Mary, seven children, and 22 grandchildren. Bill Graham received his M.A. from Catholic University in 1954 and taught drama at the University for 41 years, serving as department chair from 1977 to 1993. He founded the Master of Fine Arts acting program in 1970, directing it until his 1993 retirement. Bill Graham toured with the National Players and was responsible for the program's success at the Olney Theatre Center. 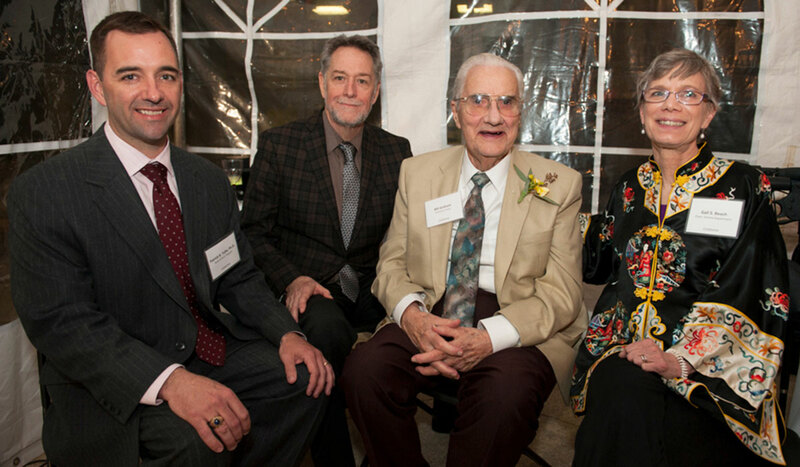 After retiring from Catholic University, Graham continued to be involved in the life of the department as well as the local theatre community, particularly the Olney Theatre Center, where he served as the chairman of the board of trustees for many years. In honor of his distinguished and meritorious service to Catholic University, Graham received the James Cardinal Gibbons Medal from the Alumni Association in 2000. In 2001, he was honorary chair of the gala celebration of Hartke Theatre’s 30th anniversary, at which he received a Gilby Award from the department — Catholic University’s version of the Tony Award. Proceeds from the gala benefited the William H. Graham Young Artists Fund, which continues to serve as a reserve fund for individual drama department students to use for travel to competitions and conferences, as well as for unforeseen emergency expenses. Graham is fondly remembered by drama graduates. In a 2005 article in The Catholic University's Magazine, author Daniela Gioseffi, M.F.A. 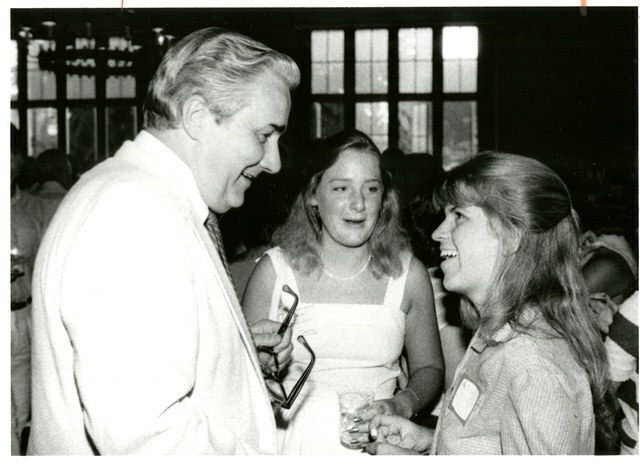 1973, cited him as her favorite professor, writing, “He was a dedicated teacher, kindly and hospitable in demeanor — the sort of person one would want to emulate. He was the most inspiring teacher I had at Catholic University. He taught by the principle that respect for the student garners respect for the teacher, and there’s no better way to teach.” In 2012, drama alumni Deb Gottesman and Buzz Mauro recalled why they felt fortunate to have been at Catholic University when Graham headed the drama department, saying his belief that acting was a teachable and learnable craft and that acting training could benefit people in real life as well as on the stage inspired them to create the Theatre Lab School of the Dramatic Arts, a community arts school for professionals and amateurs. In his final act at Catholic University, Graham served as honorary co-chair of the 75th Anniversary celebration of the drama department in spring 2013. Bill believed that aspiring theatre artists must learn their craft and understand the importance of working in an ensemble, to know ‘what “working together” means both as artists and as human beings.’ These beliefs guided his efforts in the Department of Drama and his work with the Olney Theatre Center and the National Players. He was a strong leader and a generous teacher; we will miss him dearly. Memorial contributions may be made in his memory to The Olney Theatre, 2001 Olney-Sandy Spring Road, Olney, MD, or the The Catholic University of America, Washington, DC 20064 for the William H. Graham Young Artists Fund. Condolences can be sent to the Drama Department for forwarding to the family. Bill Graham was loved by all, and we will miss him.